The recently released ‘Mulk’, in some ways reminds one of ‘Garm Hava’- and these lines quoted above. The most prominent common feature in the two movies 45 years apart is the sense of deep pain at not being accepted as a part of the nation that is India, even though there is absolutely no lacking in the commitment. 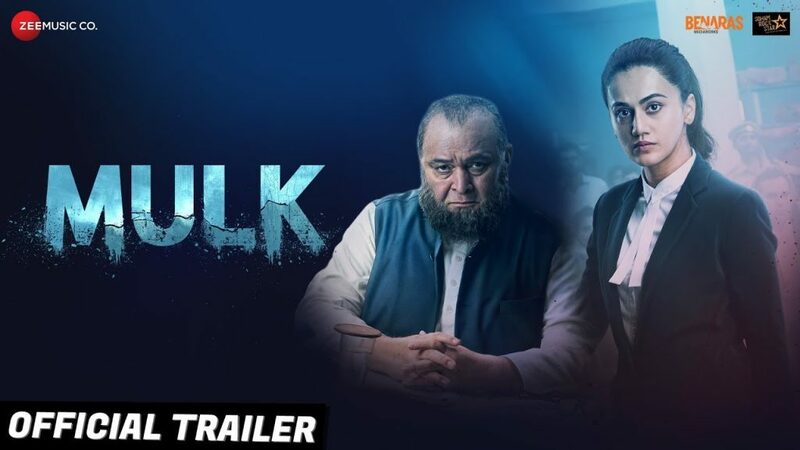 This, and many more thoughts – and incidents – came to occupy the mind after having seen ‘Mulk’ and recalling the similarities it has with ‘Garm Hava’. First, a personal incident, from just a few months back. In a café, over coffee, two friends sat discussing the situation in the country and where it could lead to. The discussion veered round to the issue of the challenge to the secular ethos and the insecurity being felt by the minorities, especially the Muslims. Gradually they started talking about a common friend. One of them opened up about the discomfort she felt about his safety and the nagging thought of where he could possibly be the safest in an environment becoming increasingly unsafe for his community. All the more so, as the common friend is not a person of resources, neither influential nor connected to those with influence. He would not be in a position to fend for himself if the chips were down. The counter-argument was that well-meaning folk would be his shield. And he could be brought closer to other friends in physical space for him to feel secure. But this did not cut much ice. Apart from the long-term logistics involved in terms of a settled life, it was also, perhaps, an argument rooted more in emotion than convincing logic. This discussion that I had with my friend quite a few months back knocks at the door of my consciousness in the wake of every incident of patent injustice faced by individuals from amongst the Muslims. One thinks of Mohammad Aamir Khan who, after having been wrongfully charged in 19 cases of terror crime and incarcerated for 14 years, was ultimately acquitted by the courts in all but two cases still pending in a High Court. In the course of these years, in the words of the National Human Rights Commission, ‘he lost his parents, his career, his hopes, dreams and everything…’ Those who wish to know what this gentle and soft-spoken young man went through, can read ‘Framed as a Terrorist: My 14-Year Struggle to Prove my Innocence’. I also cannot but recall the spate of lynchings our Muslim countrymen have been subjected to, beginning with Akhlaq in September 2015 down to Rakbar in July this year. I recall at least some of these incidents also because I happen to belong to a state that has been witness to some of them over the last few years. Junaid and Pehlu Khan and now Rakbar – all were either residents of or had to suffer their tragic fate in Haryana. There have also been incidents involving Kashmiri youth – the latest that one recalls involved a couple of students of the Central University at Mahendergarh in February this year. They were physically assaulted even as they were reportedly going back to their university after their Friday prayers in a mosque. There was, for me, an immediacy to it not just because this too is a town in my home-state, but also because I have had friends and acquaintances teaching there. 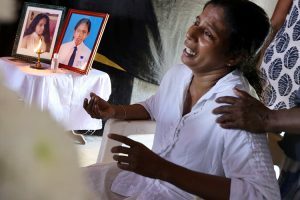 Notwithstanding the widely divergent versions that came out as to what had actually transpired, the incident once again brought into focus the insecurity being felt by the minorities. The intermittent regularity of such incidents forces one to think as to why this is happening now as probably never before. But ‘never before’ is perhaps not the phrase to use. Even ‘Garm Hava’, 45 years back in time, though arguably more nuanced than ‘Mulk’, did have some straight messages to deliver about the suspicion, isolation and alienation faced by Muslims – albeit in an environment that breathed a much greater spirit of co-existence than is palpable now. And one cannot but recall ‘Naseem’ (gentle breeze) that, in the 1990s, depicted the strains and stresses that the Muslim mind had to face in the wake of the Babri Masjid demolition. All three films across this time-span, reflect the challenge faced by our very own countrymen in being looked upon with suspicion, their patriotism being brought into question just because they belong to a particular religion. And the protagonists in all three hold their own, proving that they are patriots no less than any other in the country. Notwithstanding this common strain down the decades, one has to say that the incidents happening now are much more closer to the bone – much more brutal than earlier, in that they target the community through aggressive, sometimes armed physical assaults on individuals. The challenge has become much more formidable. What makes it all the more scary and terrifying is that the consciousness of people is being dangerously polarized against a particular community. Shamelessly demonizing the ‘other’ via the ‘terrorist’ tag and cow-vigilantism, is apparently par for the course now. Both ‘Garm Hava’ and ‘Mulk’ – and ‘Naseem’ – would make any sensitive individual realize, in historian Rana Safvi’s words from her recent heart-rending piece on ‘Mulk’, ‘what it means to be a Muslim in India’ (Why I cried while watching ‘Mulk’: I finally know what it means to be a Muslim in India. https://scroll.in/reel/889162/why-i-cried-while-watching-mulk-i-finally-know-what-it-means-to-be-a-muslim-in-india). Add to this list the movie ‘Shahid’ – and a few more, may be – and you realize how over these last twenty years or so the art of film-making has been reflecting the bitter reality of our times in terms of mirroring what the Muslim state of mind must be today. Deep introspection is called for. The most significant aspect is that the socio-cultural scenario of interaction between various communities and groups has surely changed. Opportunities of intermixing have, instead of increasing, shrunk like never before. This has led to the strengthening of biases and misconceptions especially about the minorities and marginalized sections of society, who then become ‘others’- ‘them’ – as opposed to ‘us’. The othering is actually strengthened by the fact that these ‘others’ are strangers one has not lived with. Strangers from a community with which we do not interact as part of our daily life. People who live not amongst us but in separate, isolated localities. (‘Mulk’, though, breaks even this understanding – the Muslim with decades old friendships with Hindus, is isolated the moment the chips are down for him). To be able to create a society that is sensitive, sensible and rooted in empathy, we need an education that looks to all these socio-cultural aspects. And we need teachers who are sensitive and sensible in handling such issues. Have we made our education system, the curricular framework and syllabi especially of the social sciences, sensitive to these requirements and conducive to the inculcation of democratic, secular values? Were we to have it, I would not, along with a friend, be worrying about our common Muslim friend. Nazia Erum would then not have to write the book ‘Mothering a Muslim :The Dark Secret in Our Schools and Playgrounds’, reviews of and excerpts from which suggest that all is not really well in our schools too. We would then be a society with greater understanding of and in harmony with the various streams of belief and modes of living than we are at present. We would not be assaulting Kashmiris even as we cry ourselves hoarse saying Kashmir is an integral part of India. Not attacking Muslims and other sections of society even as we call ours a nation of many hues embodying the Gunga-Jamuni tahzeeb, a nation of multi-layered realities cohering and integrating as a single whole. Rana Safvi’s article encompasses both pain and suffering, joy and relief. One can feel the pain of having to write – “When I had seen Garm Hava, my only identity was that of an Indian”, which, by implication, is not the case today. And one can feel the joy and take comfort from her concluding remarks – “I cried because I can still count many male and female friends in my life who are Artis who light lamps of joy to dispel gloom. I cried because only they deserve my emotions.” (Arti is the daughter-in-law and lawyer defending the accused in ‘Mulk’). I, for one, would be willing to be an Arti in this context – happily so, and with pride. It is, may be, easier said than done, for it is, indeed, a tall order but as Rana Safvi herself testifies, Artis are already there in this very society. What makes me feel proud is also the fact that it was a ‘Hindu’ (that is, I) and a ‘Sikh’ (my female friend) worrying about a common ‘Muslim’ friend, all being Indians first, over coffee in the café. our society to which we had fallen since the 1970s.